Coming up with ideas for a board game for the Serenity Prayer can seem a bit daunting. After all, this prayer is one of the most common in American popular religious culture. The poem is not actually related to religion but often is viewed that way because of the reference to God in it. Still it is a useful prayer and can be used to demonstrate religious concepts. A theologian named Reinhold Niebuhr wrote "The Serenity Prayer" in the 1930s. Scholars believe Niebuhr wrote the prayer as part of a sermon, and church leaders passed it along among other clergy members, where it gained popularity. The original text Niebuhr wrote is as follows: God, give us grace to accept with serenity the things that cannot be changed, courage to change the things that should be changed, and the wisdom to distinguish the one from the other. Niebuhr apparently intended the prayer as a single sentence. The contemporary version typically is written as three verses in poem form. Teenagers often work better with concepts they can understand. 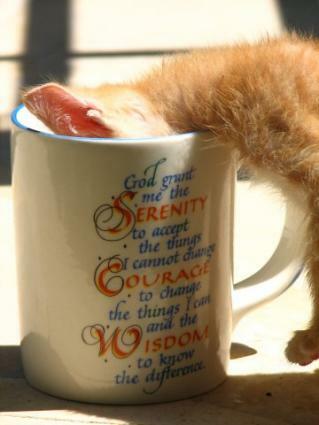 The Serenity Prayer is abstract in that in the pray-er asks God for three virtues: serenity, courage, and wisdom. A simple way to make this into a board game is to design a game on poster board. Each player gets a game piece. You can use corks for the game pieces and paint them different colors. The game board should have a starting point and a winding path leading to the victor's circle, which should be called "knowledge" or "acceptance" or some similar term. Your friends are going to a party without adult supervision. You didn't study for your algebra exam, but you know if you angle your seat you can see your friend's paper. Your English teacher just doesn't like you! Even when you do your best work, you cannot get a good grade from her. Make up 25 or so cards with these situations. When each player gets a turn, he or she selects a card and reads the situation to the group. The teen whose turn it is picks whether the situation requires serenity or courage. If he gets it right on the first try, then he gets to skip ahead two spaces because he showed wisdom. If he is wrong, then a discussion should ensue between all of the members. The goal is to get the teens involved in making these decisions. If the player accepts the argument of the group, then he gets to move ahead one spot; otherwise he stays put. The player who gets to the "wisdom" or "acceptance" circle first wins. Adults may not be interested in board games with preset situations, but you can use the same concept with them. You can use the same board design but make up different cards. Few adults are dealing with the types of peer pressure as teens. They have their own lives with their own problems and concerns. Ideas for a board game for the Serenity Prayer can work as a trust-building exercise for adults. What is a time when you used serenity in a situation with your spouse? How did you decide whether you could solve a problem at work? When did you have courage in dealing with your children? As each adult gets a card, he or she answers it. The others discuss the issue and how the adult handled it according to spiritual principles. If the person handled it well, she moves ahead two spots. If she can identify ways to handle it better, she moves ahead one spot. These types of games will work in groups where the members trust the others to have their best interests at heart. Sometimes people need a more casual environment to open up about issues in their lives.